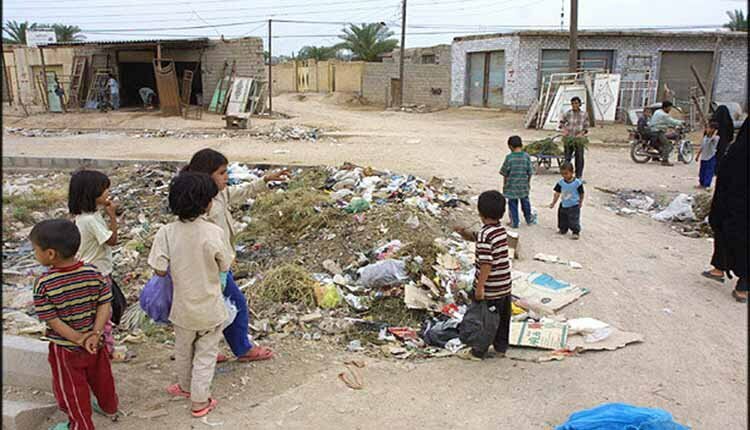 The Khuzestan governorate’s Director General of Social Affairs said “According to estimates, 850,000 Khuzestan residents are deprived and live in slums,” the state-run IRNA news agency reported. Khuzestan Province is home to around 80 percent of Iran’s oil fields and 60 percent of the country’s gas reserves. The southwestern province, which borders Iraq and is home to the majority of Iran’s ethnic Arabs, is also known for its historical sites, including the ancient city of Shushtar, stunning vistas, and date palms. Yet many of the province’s residents are poor and unemployed — Khuzestan has the third-highest rate of unemployment in Iran — and locals say that they don’t benefit from the province’s wealth. Affirming that the oil rich Khuzestan province faces horrible dilemmas, IRNA citing Mohammad Sadegh Karimi Kia, reported that the southwest province ranked 13th in suicide rates in the country. According to some reports, between 19 million and 21 million people in Iran live in slums, deprived of minimum health and public services. Official numbers put the number of slum dwellers at 19 million who live in 3,000 slums all over Iran. This means that from every four people in Iran, one is a slum dweller. Salman Khodadadi, in an interview with state-run Shafagnah, reiterated that, “Unfortunately, 19 million of our 85 million people live in a space where there are grounds for their deviations,” according to state-run media on April 7, 2018. People living in s is a social problem with unfortunate consequences for the society, which is the result of poverty and mismanagement and unemployment. Slumming, the marginalized people who live in slums or living in sheds or thickets, is not only the source of great social dilemmas, such as stealing and promoting addiction, prostitution and illnesses for other members of the community, but directly affecting nearly a quarter of Iran’s people. Over 19 million people, twice as much as the entire population of Portugal, are marginalized and living in slums in Iran. According to the reports by state-run media, the Iranian government is among the world’s richest governments and comparing the annual budget figures of the countries of the world shows that the revenues of the Iranian government are higher than many other countries. However, the issue of poverty and marginalization in Iran, which affects a quarter of the country’s population, does not seem to be due to a shortage of wealth and resources.